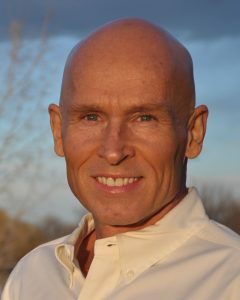 Dr. John Douillard, DC, CAP, author of “Eat Wheat: A Scientific and Clinically-Proven Approach to Safely Bringing Wheat and Dairy Back into Your Diet” (www.LifeSpa.com), is a globally recognized leader in the fields of natural heath, Ayurveda and sports medicine, and is author of six previous health books. He is the creator of LifeSpa.com, the leading Ayurveda health and wellness resource on the internet. Douillard also is the former Director of Player Development and nutrition counselor for the New Jersey Nets NBA team. He has been a repeat guest on the Dr. Oz show, and has been featured in Woman’s World magazine, Huffington Post, Yoga Journal and dozens of other national publications.